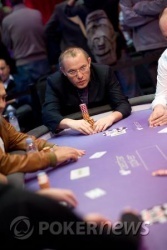 HomeLive ReportingPoker ToursWSOPE2008 World Series of Poker EuropeEvent 2 - £2,500 H.O.R.S.E. Event 2 - £2,500 H.O.R.S.E. Congratulations to Sherkhan Farnood, Event #57 Champion! It took over 14 hours of final table play for Sherkhan Farnood to emerge as the WSOP's newest bracelet winner. 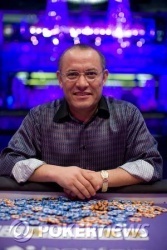 Coming into the final eight as the second-shortest stack, Farnood outlasted some of the game's most celebrated and decorated players like Phil Ivey, Howard Lederer, and Jeffrey Lisandro to take the bracelet home to Afghanistan. He was never intimidated by them in the least on his way to victory. Farnood had come close to a bracelet several times before, making the final table of the £5,000 Pot-Limit Omaha event at last year's WSOP-Europe and finishing second in the $1,500 Pot-Limit Omaha with Rebuys at the 2006 WSOP. 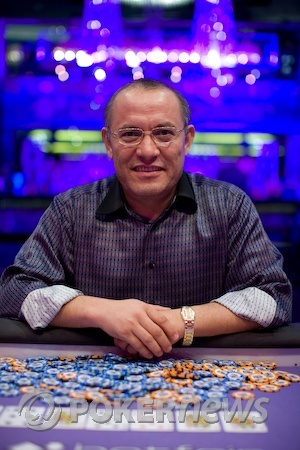 The Kabul native pointed out in his post-game interview that this was not the first bracelet to be won by an Afghan, but the second (Qushqar Morad won the $5,000 Seven-Card Stud Event in 2002). He was also eager to remind us that he is not a professional player, but a businessman, and sent his love out to his wife who had been diligently following the action from Dubai. Congratulations to Sherkhan Farnood, on a game (and a marathon one at that) well played! Though Donev picked up a flush draw on sixth street, he blanked out on seventh, while Farnood made two pair, queens and eights, to eliminate Donev and capture his first WSOP bracelet. Donev will take home £48,125 for his runner-up finish. The nearer Ivo Donev gets to the felt, the quieter it gets in the casino (though the exit of the reveling cocktailers helped quite a bit). Donev is on his last 70,000, Farnood playing carefully as not to double up his opponent before dealing the final blow. 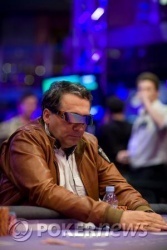 Disaster for the Austrian Chess Master as Ivo Donev finds himself whittled down to just 30,000 chips. Although both players had made a straight, Farnood took the high with the nut straight. There was a moment or two of hesitation, but after TD Jack Effel interjected, it was eventually concluded that Farnood had made the best low too with A-2-4-6-7. As a result of that potentially bracelet-winning scoop, Farnood is now wearing a Cheshire Cat grin the width of London and can sense that victory is near. Someone must have sneaked Kryptonite into his pocket, as Ivo Donev has been gradually leaking chips over the last few rounds and is down to just 185,000. No major pots in particular, but every time he reaches a later street, he is bet off the hand by a dominating Sherkhan Farnood. Things are getting strange around here. A woman in a red dress, who has been sweating Sherkhan Farnood for the last several hours just made a sudden eruption from the rail. We're unsure about the relationship between these two (or even if they know each other) but her outburst concluded in her lunging at the table and hurling two crumpled £50 notes at a flabbergasted Farnood. The woman (who is pregnant, I might add) was immediately escorted off the premises by security as she screamed obscenities at a stunned Farnood. Farnood then retrieved the crumpled notes and pocketed them with a bewildered expression on his face. Add to this the crash of glassware to the floor that appears to be happening at regular intervals behind the bar, the late-night cocktail-swillers chatting loudly to each other in front of it, the thump of ever-present electronica music in the background, and, well, you have a pretty good picture of what's going on here while our two finalists play for a WSOP bracelet. Just when things were getting a bit lopsided, Sherkhan Farnood took down a huge razz pot. Farnood had the bring-in, Donev completed, Farnood raised, Donev reraised, Farnood four-bet and Donev called. Donev led out on fourth street, Farnood raised and Donev called. Fifth and sixth streets brought bets from Farnood and calls from Donev. Both players checked seventh. Donev showed a J-7 low, which was just edged out by Farnood's J-6-5-3-A. Farnood raked in the monster pot, which nearly evened up their chip counts.